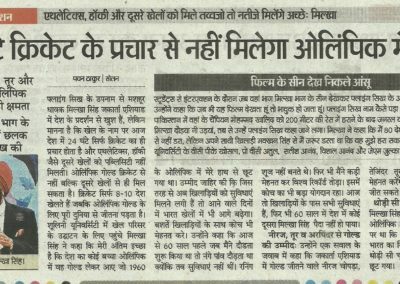 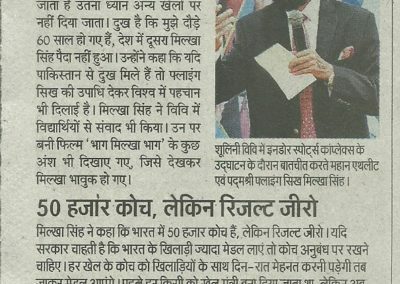 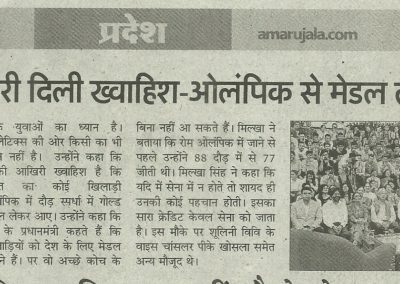 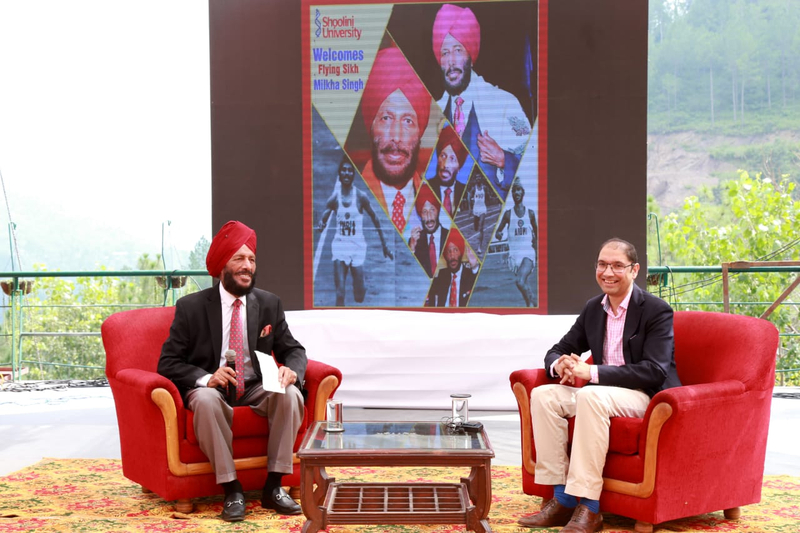 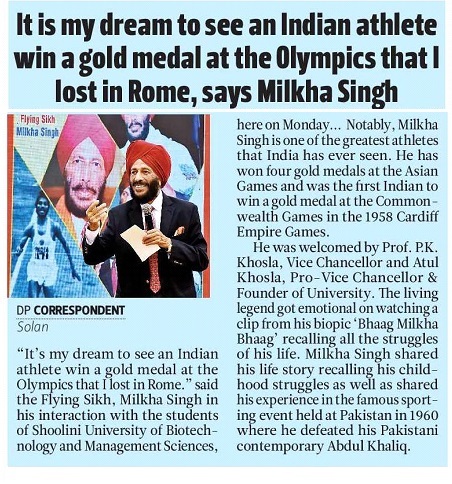 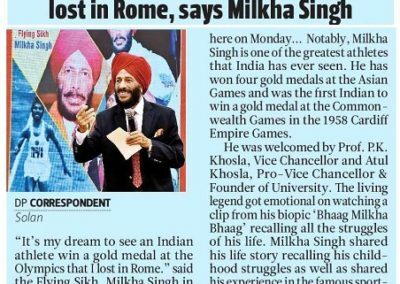 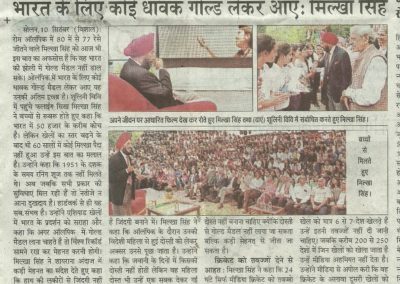 Solan, September 10, 2018: “It;s my dream to see an Indian athlete win a gold medal at the Olympics that I lost in Rome.” said the Flying Sikh, Milkha Singh on Monday in his interaction with the students of Shoolini University. Milkha Singh is one of the greatest athletes that India has ever seen. 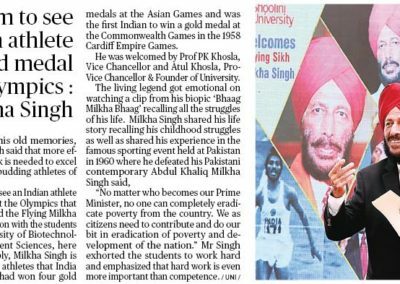 He has won four gold medals at the Asian Games and was the first Indian to win a gold medal at the Commonwealth Games in the 1958 Cardiff Empire Games. 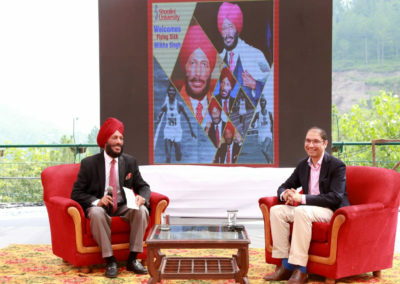 He was welcomed by Prof. P.K. 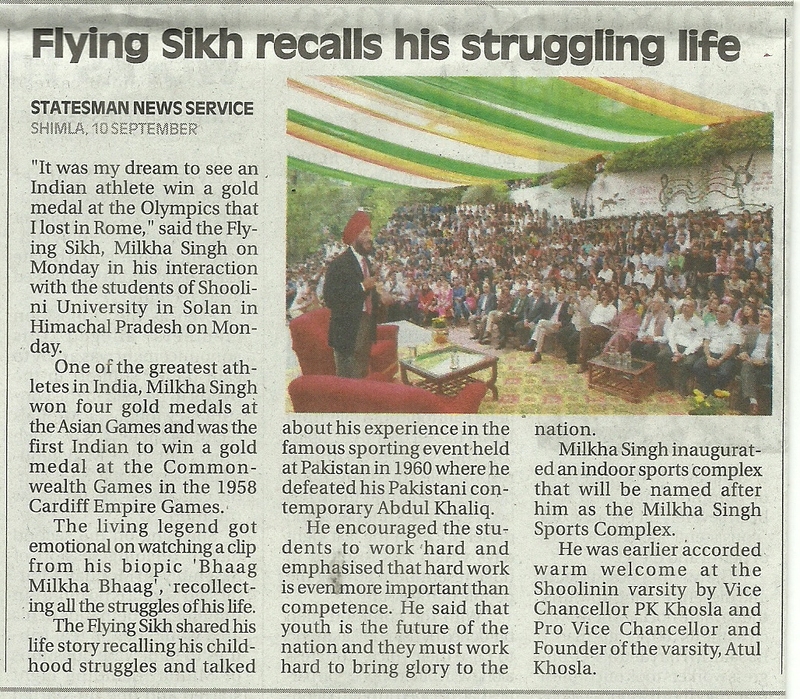 Khosla, Vice Chancellor of Shoolini University and Mr. Atul Khosla, Pro-Vice Chancellor & Founder, Shoolini University. 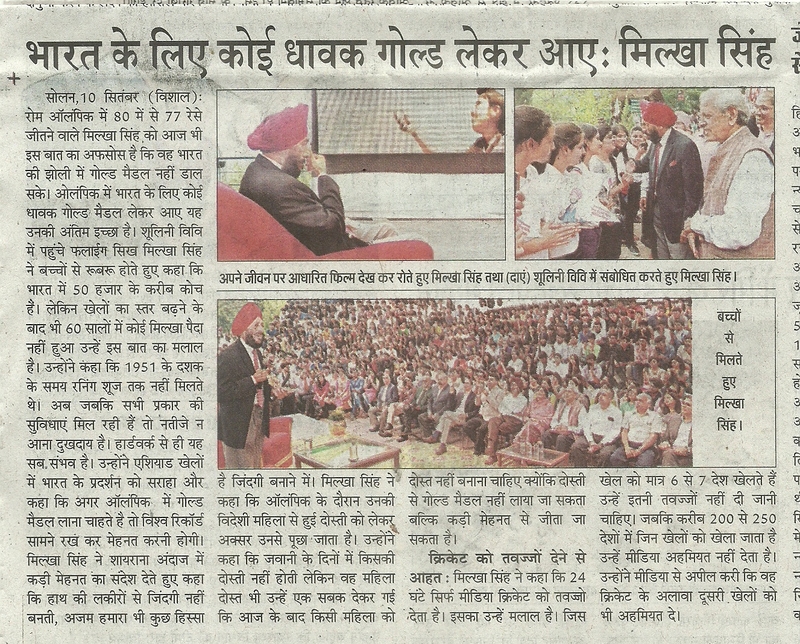 He encouraged the students to work hard and emphasized that hard work is even more important than competence. 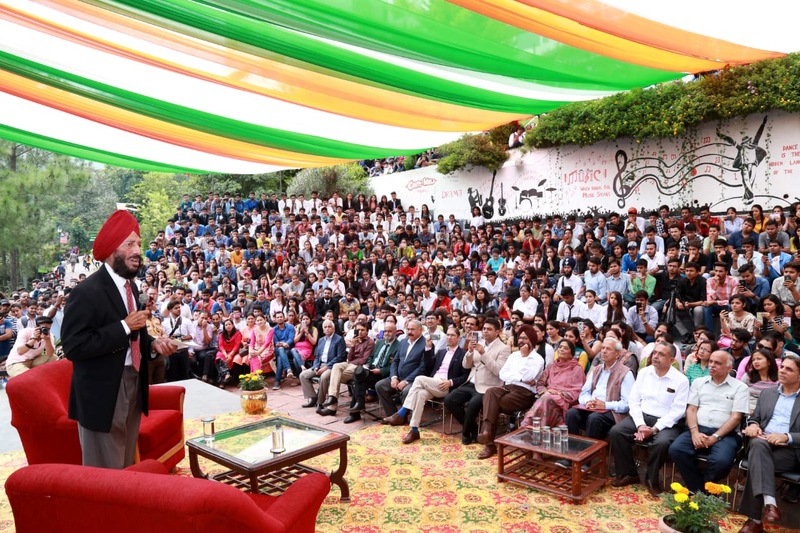 He said that youth is the future of the nation and they must work hard to bring glory to the nation. 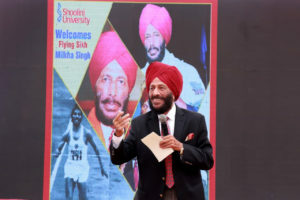 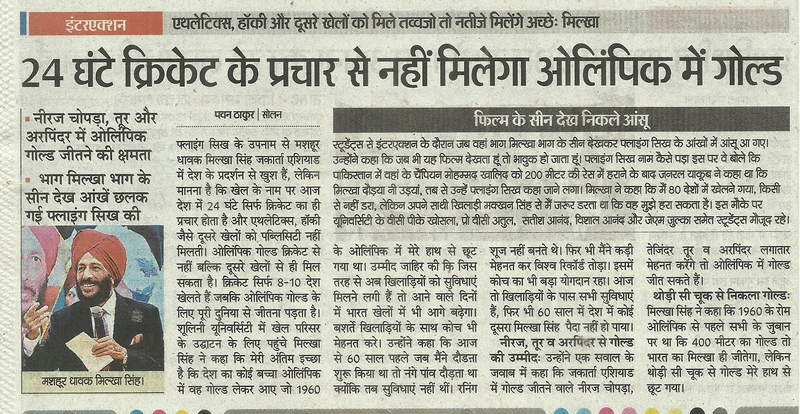 Milkha Singh also inaugurated an indoor sports complex that will be named after him as the Milkha Singh Sports Complex.